Istanbul is a city of hills, some more daunting than others. Depending on how much time you have and how fit you are, you can find many places where you can get a magnificent view of this great city. Perhaps the tallest hill in the city is the Büyük Çamlıca, which is said to give a breathtaking view of the whole city of Istanbul. We didn’t go there, due to lack of time – but frankly, we didn’t have to. We rather chose to combine dining and drinks with fantastic view. 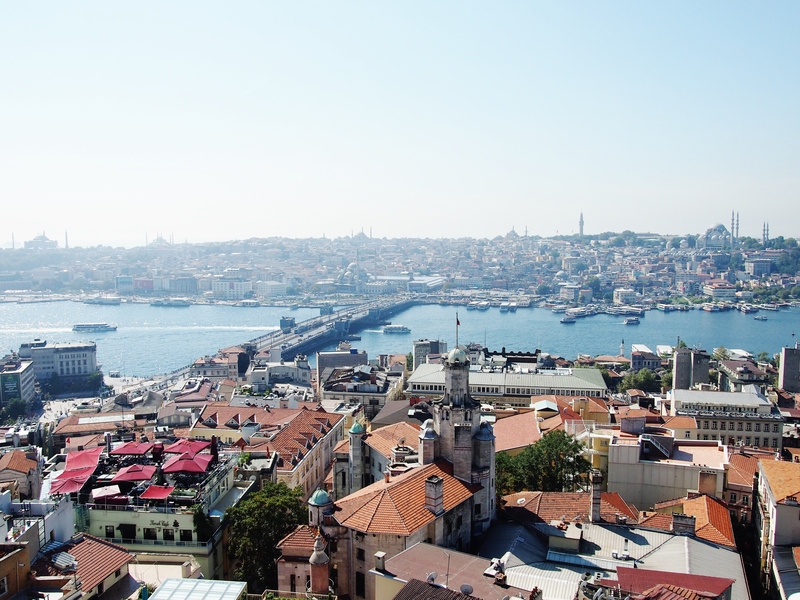 The Galata Tower is of course a superb viewpoint worth visiting during daytime, if you don’t want to hike up a hill in the heat….or hike at all. Mikla rooftop bar/lounge is said to be probably the best skybar in Istanbul. The clientele is upscale, drinks are good and relatively expensive, but the 360 degree breathtaking view of Istanbul is perhaps the No.1 reason to pay a visit to Miklas rooftop skybar. We really liked this place and it’s atmosphere. NuTeras is not far from Mikla and has a bit of a younger crowd at night, it is not as high up as Mikla, but it’s good and have bigger space. 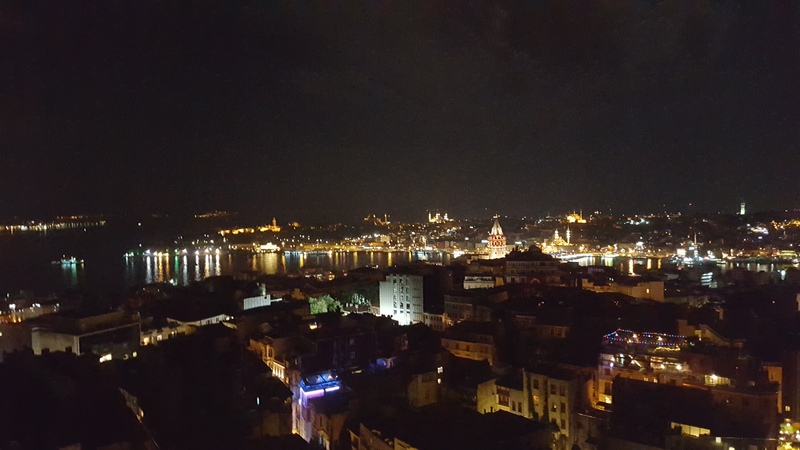 Here you can have drinks while enjoying the view of the Golden Horn. Leb-i-Derya is a restaurant with bar and a great view of the New Town. It is by far one of our favorite places in Istanbul. Enjoying drinks or meals right at the edge of the building (that’s how it feels) and taking in the view. Ulus29 bar is situated on a hill top at in the upscale area of Istanbul – you get a view of the Bosphorus, the Asian skyline and the stunning bridges connecting the European and Asian part of Istanbul. Sunset Grill and bar’s Champagne bar (close to Ulus29) has also a splendid view of the Bosphorus. Worth checking out. You can also have dinner on the terrace with good and direct view. Amazing way to enjoy a meal.